It feels like overnight my firstborn tiny baby has transformed into the tall, hairy man. I'm still amazed that he is a senior and shaves. It just doesn't seem possible. 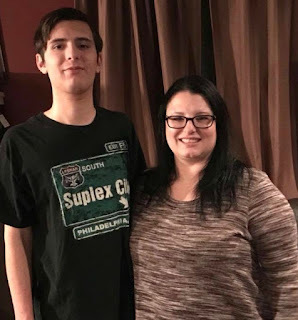 At just 12 years of age he towered me - I'm only 5'1. His feet were a size 11 back then. Now at 17 he is just about 6 feet tall and wears a size 13. I love that he can reach up and change a light bulb for me so easily. I'm always amazed at how tall he is. My son towering over me! He isn't finished growing yet! You can imagine finding shoes at this size is somewhat a challenge. You know finding nice socks is also a challenge. The standard size is 6-12. That is a huge range! If we find a decent length then the part around the calves cuts into his leg. 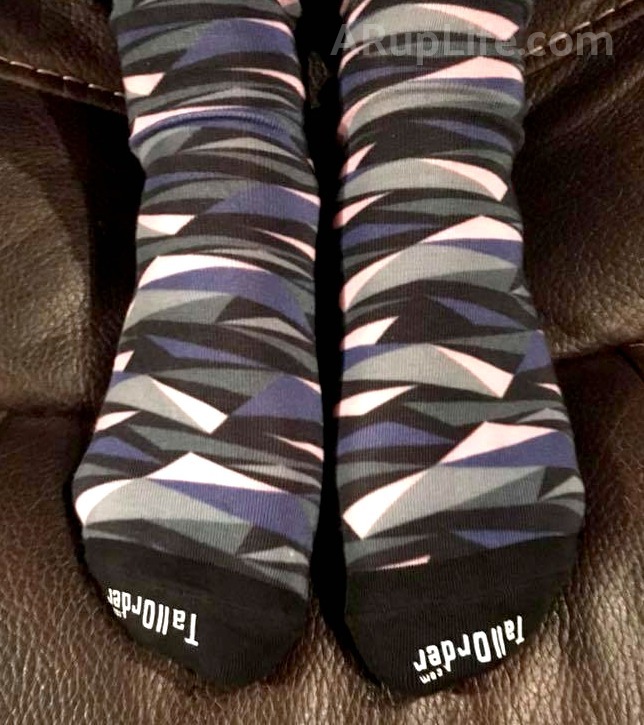 TallOrder.com is a unique family owned and family run online sock store. They specialize in socks for taller men. Ranges go from 12-15 all the way through to size 16-20!! 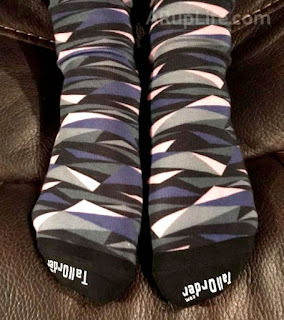 I'm pleased to share TallOrder.com socks in my holiday gift guide because not only are they wonderful, quality socks, they also are a give-back product. 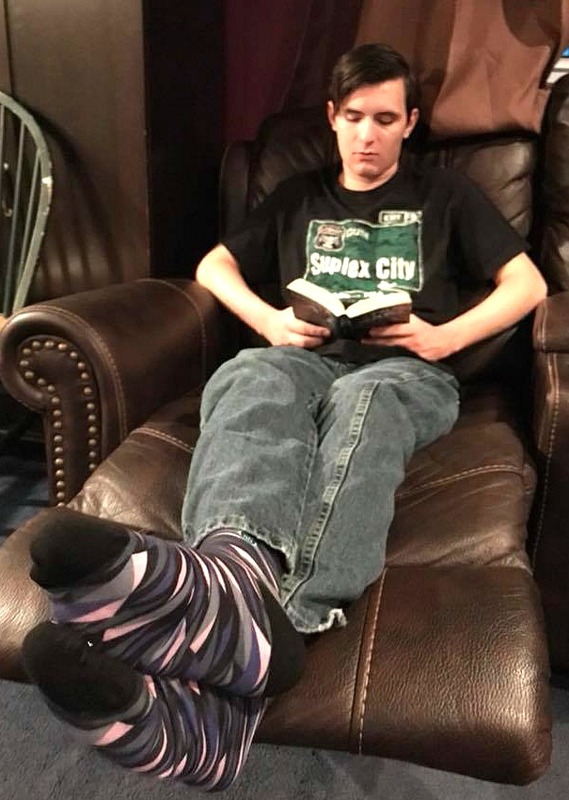 Customers who purchase Tall Order socks are also giving back - proceeds from TallOrder.com are donated to Tuesday’s Children, a nonprofit that offered support to co-founders Mike and Dan Friedman after losing their father on 9/11. The line is stylish and comfortable. I was really surprised at how generous the tops of the socks stretched to accommodate larger calves. There was a lot of thought put into this product and and company. 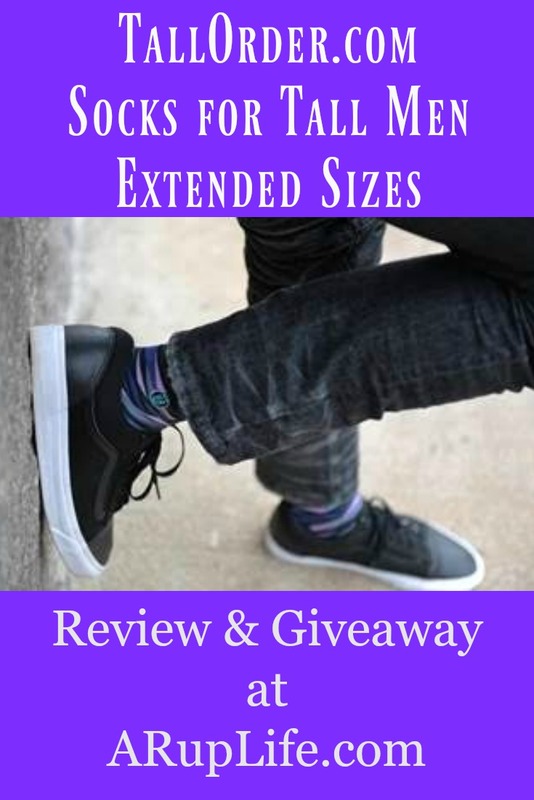 One lucky reader will win two pairs of TallOrder.com Socks! I'm give them to my husband. I'd choose THE STUDLEY Cardinal Red. I will give these socks to my son. He'll love them! My son would love these socks. Thank you for the chance. We love THE STUIE socks. I would gift these cute socks to my sister. I love the Marty socks in Royal Purple. I would give these socks to my son. I like the Kenny in blue. I would love to win these for my husband! I like the EARL Blue socks. I like the The Pete – Red and Green Holiday Bundle. I'd give them to my son. His feet are a size 15. It was always funny taking him shoe shopping and having to ask if they had size 15 in the back. The workers always gasped. I would give these socks to my husband. I like the earl in red the best. I would give them to my son! I like The Kenny Grey socks!